Sterling silver and symbols of the Christian faith are combined to create a powerful pendant from online retailer Apples of Gold. The shape of a Christian cross is instantly recognized in this pendant, but this cross is made with sleek, modern lines to keep the look contemporary. 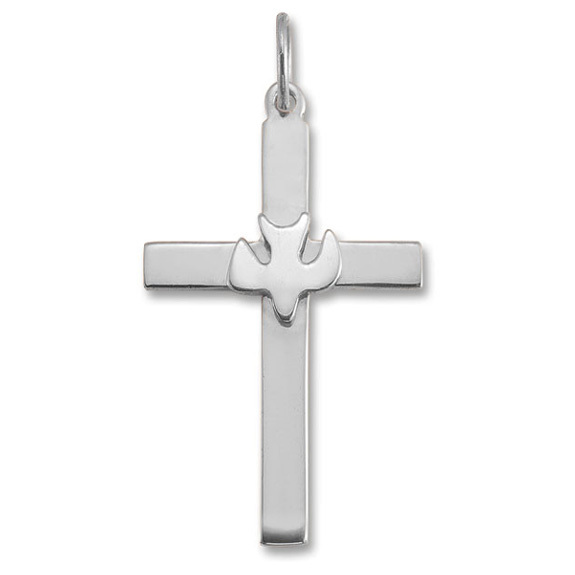 A dove also graces the cross pendant, with wings spread to make this a truly remarkable token of beauty and faith. The entire pendant is also polished for a wonderful shine. We guarantee our Christian Dove Cross Pendant in Sterling Silver to be high quality, authentic jewelry, as described above.